Say it with flowers, that is the phrase that often we listen to express something to someone. Flowers was the one who always represent our feelings towards the beloved. From generation to generation, the woman who always loved always receive the gift of flowers. Flowers in the framework of the flora is a symbol of life and beauty. So when they receive, not only women feel vibrate and praised, it feels very special and beautiful. Giving flowers to a loved increases sense of affection for you and it are still very important in his life. Generally interest is given in the special atmosphere and to apologize, but the best time to give flowers is when there is no reason whatsoever. If you buy flowers just because you want to know that you love and memikirnya continuously, he would feel more impressed and respect more than ever. Core giving "surprise" (in an atmosphere that is not the party) will add a new atmosphere in your relationship. 1. Carnation Flower means full of charm. 2. Chrysanthemum Flower means friendship. 3. Aster Flower means loving kindness. 4. Plate Glass Flowers in love hidden meanings. 5. Bungur Flower meaning beauty. 6. Orchid Flower means love and beauty. 7. Rose Flower means "I can not live without you". 8. 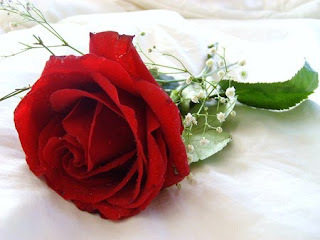 Rose Flower (thorn less) means love first sight. 9. Tulip Flower means love is perfect. 10. Violet Flowers means virtue. There are several ways of presenting interest in your partner. Remember, whatever you do, your goal is to impress. The best way to do is show the world that he was the companion of his life. Why not buy flowers and bring it directly? You can help found in water or take it to work and show all his co-workers are not just a commodity but the luck you have. Flowers delivery to delivery while you are in place and you can see who was surprised to read a greeting card, not only feel a million flavors, but also wanted to do the same. Whatever the reason, send flowers today to show that I want and I respect more than anyone else.